An executive at Uber accused of stealing technology for driverless cars from Google his former employer is invoking his Fifth Amendment right to avoid incrimination, said his lawyers. Attorney representing Anthony Levandowski, the ex-head of the self-driving car unit at Google, who is leading an effort similar to that at Uber at this time, said he broadly asserted his Fifth Amendment rights due to a potential for criminal action from the case. The maneuver made by Levandowski adds additional intrigue to this fight between a pair of technology industry giants, which have squared off in a race to put self-driving vehicles on the road. Levandowski is the centerpiece of a lawsuit between Waymo and Google. Waymo was spun off from Google and is a standalone subsidiary of Alphabet. The company has accused Levandowski of poaching employees and stealing documents prior to quitting at Google and following that colluding with Uber in using the technology to help the ride-hailing service advance its efforts at driverless cars. Just after he left Google, Levandowski begin his own start-up for self-driving trucks called Otto. Only six months after the business was formed, Uber bought the company for a price of $680 million. A motion was filed by Waymo seeking an injunction earlier in March to stop the development of autonomous vehicles at Uber. 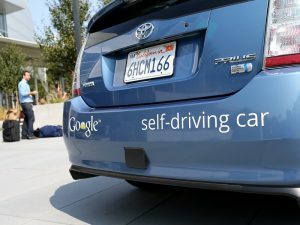 As part of its motion to seek injunction Waymo said Levandowski, while still employed by Google installed special software allowing him to download more than 14,000 files equal to 9.7 gigabytes of information that pertained to their program for driverless cars. Uber has been ordered to hand those files over. A private hearing transcript held before a judge in San Francisco shows that lawyers from Levandowski said he was using his Fifth Amendment rights in not turning the documents over that might pertain to this case. A lawyer for Uber said the made it clear to Levandowski that he must release documents that are relevant to this case as part of discovery. One of the attorneys representing Levandowski said the executive at Uber asserted his Fifth Amendment right to protect him against any compelled disclosure which would identify existence, location or the possession of any documents. He added that Levandowski’s decision to use his Fifth Amendment right might change as they look further into the case. This situation raises a number of questions about Levandowski’s future at Uber, as a Judge told Uber that it had a right to order Levandowski to cooperate or they could fire him.